Why should I be an official? Many people get into officiating because they want to stay in the game after their playing and/or coaching careers are over. It's also a great way to stay in shape and be an influence on young people. To work high school football you need to be licensed. 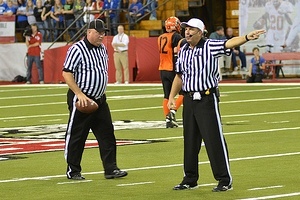 Many local youth leagues also use licensed officials but many do not require it. This is a great way to get started. To get licensed you need to apply to the IHSAA. They will provide you with rule books and information on taking the licensing test online. Testing is usually in late July and early August. The IFOA is also offering a prospective officials track for unlicensed officials this summer, June 23, 2018, at North Central High School. Registration is only $20 and will include all clinic materials, lunch, and up to $128 in free memberships to help get you started. Registration is now open so register now. One key thing any new official should do is connect with officials in your area. You can do this before or after applying to the IHSAA. 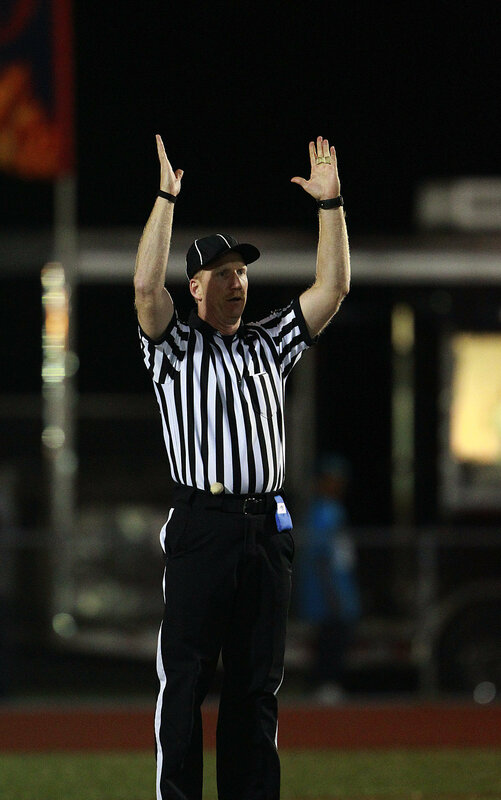 An experienced official can help you prepare for the exam, learn the mechanics and philosophies of officiating, and help you get assigned to games. If you do not know any local officials, contact the IFOA membership chairman and he can put you in contact with a local official. Some of our local associations host training programs over the summer to help prepare for the exam. Below are links to local associations who have let us know about their classes. As with anything the more you put into it the more you'll get out of it. The more association meetings you attend the more you'll be able to meet new officials and learn about our avocation. The more you study the rules the more you'll get noticed on the field and be invited to participate in more games. Getting as many snaps as you can will be extremely beneficial to your development as an official. 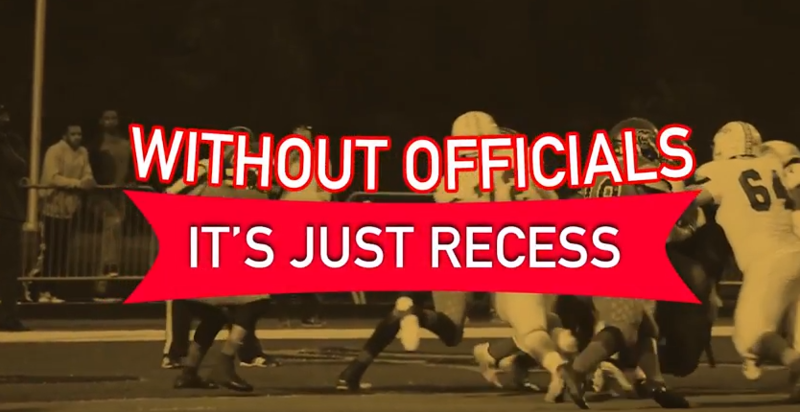 Most first year officials spend the season working youth, junior high and sub-varsity games. 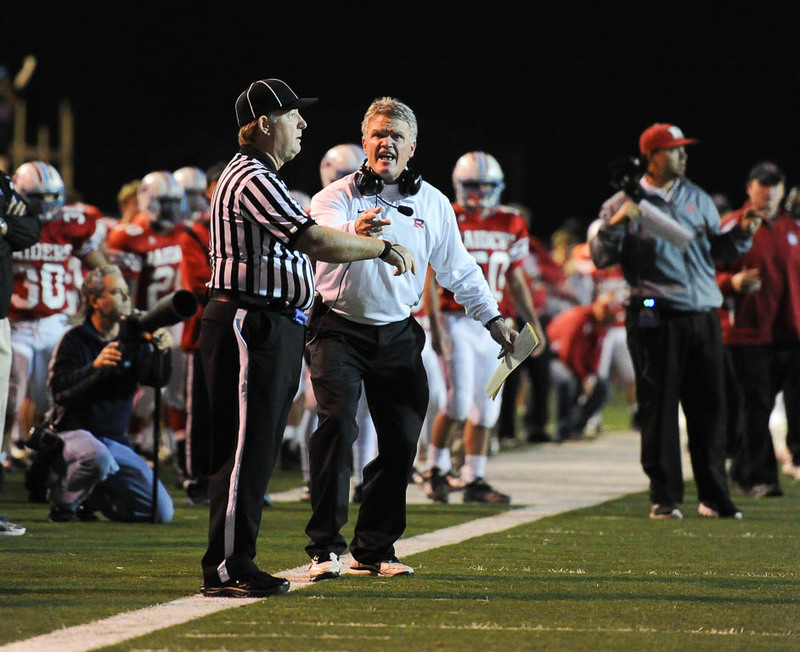 It is unusual for a new official to work any varsity games their first season. Most youth games are on Saturday and Sunday. Junior high games are in the middle of the week and sub-varsity games are often Monday evening or Saturday morning. You will often be working with a least one experienced official in these games.